United Soccer Coaches issues a call for unity! One of Challenger's official partners, United Soccer Coaches, which has one vote as an associate member at U.S. Soccer's National Council that will decide the presidential election on Feb. 10, has issued a call for the candidates to unite the entire soccer family. As a voting member of U.S. Soccer, United Soccer Coaches has watched the unfolding of the presidential election with optimism. We do not know who will win this election, but on behalf of the tens of thousands of coaches we represent and serve, we ask the same thing of each candidate that has entered this race: Please, unite the entire soccer family. Our association’s mission is simple: to provide programs and services that enhance, encourage, and contribute to the development and recognition of soccer coaches, their players, and the game we love. In 2017, we changed our name to better reflect our scope of uniting soccer coaches at every level around the love of the game through Advocacy, Education, and Service. Our member coaches are in every soccer organization and level of soccer in America including Youth, High School, Adult, College, and Professional. In fact, we are the largest soccer coaches association in the world. 1. Respect the time and talents that all coaches give—from parent volunteer to pro. They shape the soccer experience. 3. Embrace all levels of our sport. High school soccer is a valuable part of the soccer culture in thousands of communities across the nation. College soccer drives our youth game. Adult amateur soccer provides opportunities for lifelong participation. 4. Celebrate and encourage the extraordinary talents of elite youth and professional players, but know our sport is strongest when every player loves the game. Don’t forsake the 99% for the 1%. 5. Honor America and American soccer coaches by respecting that our soccer roots are now deep and rich. We can learn much from the rest of the world, but help us strengthen our own path to soccer greatness. 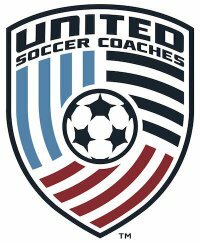 United Soccer Coaches is not governance of coaches; it is service to and advocacy for coaches. For those that govern, please consider servant leadership as the standard of excellence and advocacy for coaches a leadership responsibility. United Soccer Coaches will support you. Nice job United Soccer Coaches - Challenger supports your position!